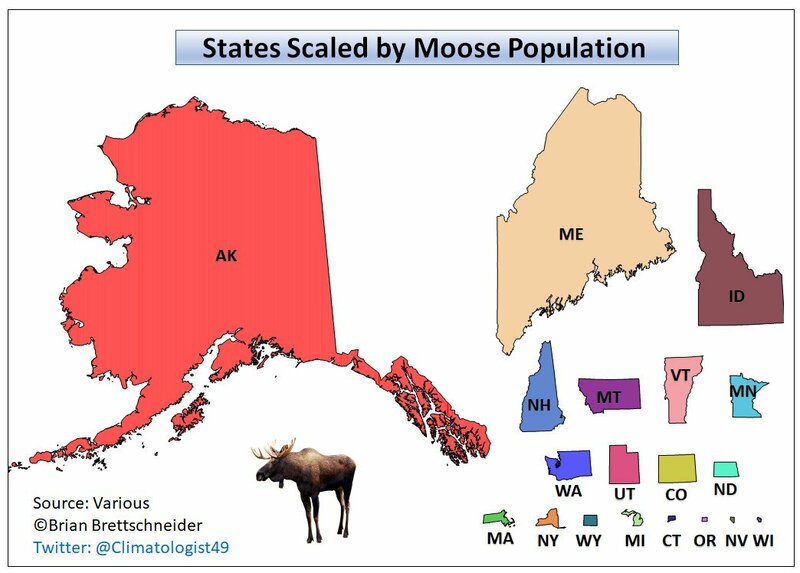 Twitter Thread: States Scaled by Moose Population - Brian Brettschneider shares a map and discussion and learning happen! This is the best thing about Twitter! Story Maps Team: Geography Treasure Hunts - Quite fun! Max Planck Institute: Navigating our thoughts: Fundamental principles of thinking - Scientists from the Max Planck Institute for Human Cognitive and Brain Sciences (MPI CBS) and collaborators suggest humans think using our brain's navigation system. They suggest this explains why our knowledge seems to be organized in a spatial fashion. Via @dianamaps. USGIF: USGIF 2019 Scholarship Program Now Open - The deadline to apply is May 15. The Stu Shea Scholarship deadline is Feb. 28. LinkedIn: On not being a professor and On not finishing a master's - Anthony Quartararo, CEO of Spatial Network looks back. Good stuff to ponder as students pursue education and consider their future work life. Remember: YMMV! The Elm: Volunteers Create ‘Missing’ Maps At GIS Event - Washington College students, staff, and community members updated OpenStreetMap last Saturday as part of the second annual Geographic Information Systems (GIS) Program’s Missing Maps Mapathon. Western Herald: Mapathon Arrives at WMU - Western Michigan University also held a mapathon. "Mapathon is an off-campus event where students can come and map the areas around the globe using a maps software called StreetMaps." OpenStreetMap was not mentioned; Geography Awareness Week was. Graphic Online (Ghana): State institutions abandon research findings - "Many completed research projects and innovative applications developed at the Remote Sensing and Geographic Information Systems (RSGIS) Laboratory of the University of Ghana to address development challenges in key sectors of the economy are lying idle due to neglect by state institutions." The New Paper (Singapore): Geography programme led to internships at stat boards - Two young women, students Foong Ru Hui and Neo Tung Yin, both 18, were part of the Geography Talent Development Programme, organised by the Ministry of Education (MOE) in collaboration with the National University of Singapore (NUS) Geography Department, National Institute of Education (NIE) and the Geography Teachers' Association (GTA). The served in roles in national parks and urban redevelopment, respectively. North Texas Daily: Student government, university union unveil campus braille map - "The braille map is a 3D-printed model of the UNT campus with miniature replicas of the many buildings. 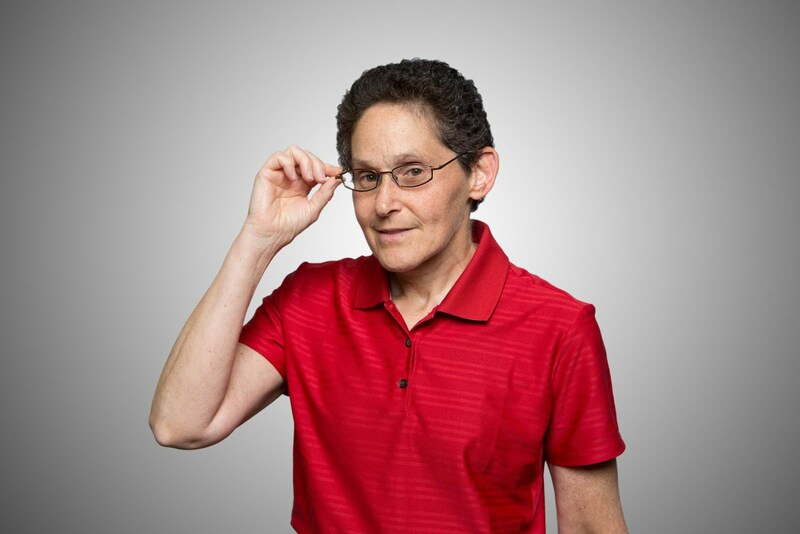 A legend accompanies the small-scale reproduction which lists out the building names for students who are visually-impaired to identify their desired route." Great Yarmouth Mercury: Norfolk welcomes geospatial technician apprentice following government support - "An apprenticeship scheme which was only given the go-ahead by the government in March has come to Norfolk, with a Great Yarmouth business taking on a geospatial technician apprentices." Esri: The company announced a YouTube playlist of four videos about Roosevelt High School's work with GIS. LoveFM: UB launches new programs (UB is University of Belize) - "Come January 2019, students of the University of Belize will have two more options to choose from as the university is adding a Bachelor’s Degree in Statistics and a Certification course [one year] in GIS Programme. " Branding Iron: Geography degrees to get ax - More on the University of Wyoming proposal and how the department is reacting. My Sunshine Coast (Australia): New ‘surfonomics’ subject set to make waves - "Students will have the opportunity to study the science of surfing, including wave characteristics and tourism benefits, in a new geography subject being offered at the University of the Sunshine Coast. The university thinks it's the first geography course on the topic in Australia, and one of a only handful in the world. There was one at UCSB in 2004; I don't see it in the current catalog. The Brussells Times: Geography teachers in Catholic schools fear their subject will vanish from curriculum - "Teachers of geography in the Catholic education system in Flanders have expressed misgivings over a proposal to include their subject in a bundle covering a number of science and technical subjects." Press Release: Maptitude Team Supports UTDallas GIS Day Events - The company name is Caliper. Course Central: Evolving the Online Degree - A student with online degree experience makes suggestions for online programs. Loose in the China Shop: 4 Things Hurricane Florence Reminds Us About How People Learn - Just a nice reminder about how learning can happen; sometimes you don't need to try. LinkedIn: LinkedIn Top Voices 2018: Education - I've never heard of, nor do I follow, any of these people. I read: Audrey Watters and listen to Have You Heard and Educate. I'm reading: What School Can Be. OsGeo: Welcoming Msilikale Msilanga as the new GeoForAll-Africa Chair - He's from Tanzania and currently works at the World Bank. Phil Davis will be joining SNHU as an adjunct faculty member. Alas, I missed the interactive parts of Penn States GIS Day. I did however drive the robot to the room for Chris Cappelli's keynote and several of the lightning talks. I've heard Chris speak many times so some of his stories were familiar. The one piece of advice he shared that I wanted to pass along was about making and sharing maps. He explained that he'd been a bit self conscious about his cartographic skills (I can relate) and was hesitant to share his maps. But, now he suggests, it's best to put them out there and get people looking, thinking, and very likely, making even better maps to explore the topic. I know there are many people who look to find and criticize "bad maps." The best "reviewers" are helpful and provide guidance. And, remember we can all learn from bad maps. I point students to this article from Andy Woodruff: In Defense of Bad Maps. I've written about What3Words, the alternative addressing platform that turns locations into three word phrases, before. This week I saw the company's latest post on LinkedIn describing a "by popular demand" offering of indoor and outdoor signs of those phrases. That's very clever as the holiday season approaches. I wondered how one might select the target address, so I looked at the various squares inside the boundary of a farm I visited recently. Most of the triplets were just weird combinations; I was looking for something that described the farm. I found one: urgency.patrols.extremely. The farm has three llamas that do in fact patrol; they are "guard llamas" that protect the sheep, chickens and turkeys. They are extremely diligent and when there is urgency, they will fight off visiting predators, prompting their charges to shelter in the barn. They are extremely helpful and only ask for a bit of feed and hay as a salary. Will this (or any similar) addressing system every take off worldwide? I don't expect it soon. I'll check again when you can just drop urgency.patrols.extremely into Google and pop up a map of the grid square in question. That does not yet work. I'll take next week off for the Thanksgiving Day holiday in the United States. Happy Turkey! Correction. I will be resigning with SNHU.